Today ONLY - you can Save 30% on Select Power Wheels &amp; Accessories. Head over and browse around for what fits your childs or garage needs! I will be sure to add this deal to my shopping list next week! Starting March 20th, Target will be offering a coupon in the Target ad that will score you a FREE $5 Target Gift Card with your personal care purchase of $20 or more! If you'd rather grab the mobile version, text CARE to 827438 on 3/10. 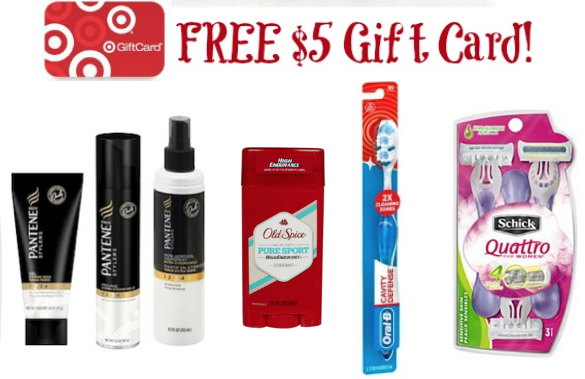 Plus, through April 2nd, there is an offer for a $5 Target gift card when you buy 3 Pantene products that you can combine with the offer above for some awesome deals! New Coupons - KABOOM, Huggies Swimmers, Kellogg's + More! Here are the latest coupons and rebates you can snag! Coupon prints are limited so get yours now! Save 50¢ on any ONE (1) AXE® Dry Spray Deodorant (excludes trial &amp; travel sizes).Expires 4/17/2016.Save $0.50. Save $4.00 on ONE (1) 120 Spray FLONASE® Allergy Relief .Expires 4/17/2016.Save $4.00. Save $2.00 on ONE (1) FLONASE® Allergy Relief 60 ct or Larger.Expires 4/17/2016.Save $2.00. Save $1.00 on any ONE (1) CLEAR® Scalp &amp; Hair™ product (excludes trial &amp; travel sizes).Expires 4/17/2016.Save $1.00. Save $2.00 on any ONE (1) Simple® Cleanser, Moisturizer or Facial Wipes product (excludes trial &amp; travel sizes).Expires 4/17/2016.Save $2.00. Save $1.50 on any ONE (1) Dove® Advanced Care or Clinical Protection Antiperspirant Deodorant product (excludes Dove® Men+Care® &amp; trial &amp; travel sizes).Expires 4/17/2016.Save $1.50. Save $1.00 on ONE (1) MAYBELLINE® NEW YORK DREAM VELVET™ FOUNDATION OR ANY DREAM PRODUCT.Expires 4/16/2016.Save $1.00. Hurry over to Home Depot where today only you can save big on select Hoover carpet cleaning products! 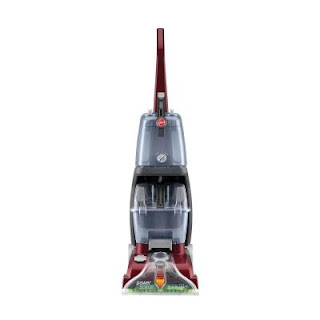 I've had my Hoover Carpet Cleaner for over 15 years and still use weekly! Get ready for Spring with this Step2 Crabbie Sandbox for $60 (Retail $89.98). Children will have endless hours of outdoor fun with the Step2 Crabbie Sandbox. This adorable piece is made of sturdy construction and has a crab shape in a bright red color. It has the capacity to hold up to 300 lbs of sand and includes a protective cover to keep bugs and animals out. Additionally, the sandbox playset includes two molded-in seats for added comfort. It's suitable for children ages one year and up. 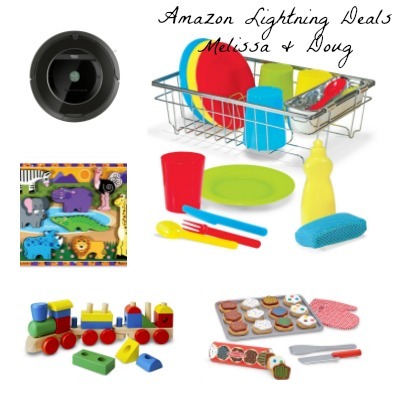 Here are a few of my favorite Amazon Lightning Deals! *Keep in mind we do not know the discounted price until the lightning deal is activated so you will need to check back in on your favorites. Visit HERE for the full list! If noted Prime Members can purchase at the lightning deal price 30 minutes early. CST listed. It's Spring! Which means it's time to get outside and get active! Right now at Amazon you can Save 50% or More Off Activewear. Of course I love these PUMA Girls' Dipping Dots Capri $16 (Retail $32). Starting today you can get a Personalized Kids Swimsuits for $24.99 (Retail $36). Single Initial or three letter monograms only. 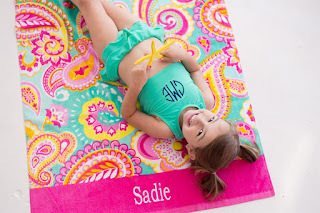 If choosing three letter monograms please read difference for boys and girls. Shipping adds $3.99 for the first item and $3.75 for each additional item. US only. Ships no later than Tue, Apr 05. I'm loving this deal! I need to get rid of my daughters furniture and replace it with this for more room and storage! 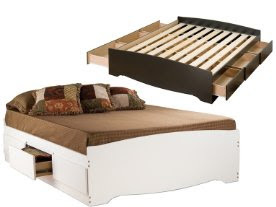 Check out this PrePac Platform Storage Bed with 6 Drawers (Pick one) $299.99 - $349.99! Enjoy floor space and storage with the Prepac Platform Storage Bed with 6 Drawers. At 18" deep, its six drawers can store any clothing, linens and blankets that go in a traditional chest, without taking up more room in your bedroom. With three drawers on each side, there's room for everyone's stuff. Don't worry about a box spring: the slat support system needs only a mattress. Sleekly designed and practical, this mate's bed lets you get the most out of your mattress. HURRY over and check out Select LEGO Building Sets Up to 30% Off! PLUS MORE! Shipping is free with Amazon Prime or your $49 purchase.